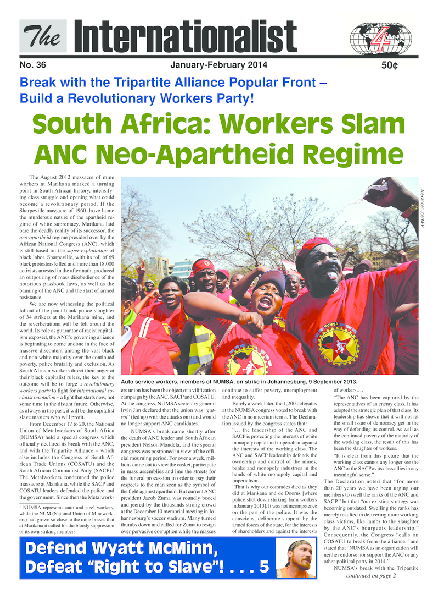 The Internationalist No. 36 is out! 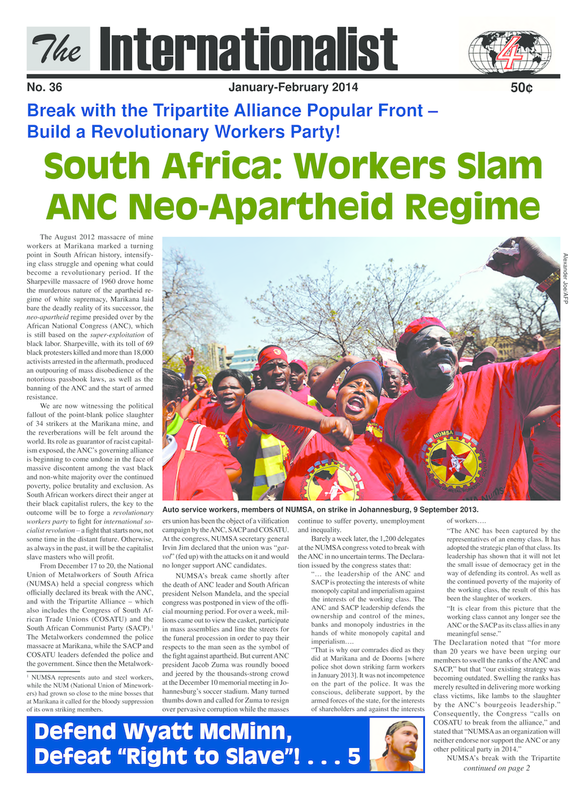 Get the revolutionary Marxist view, with articles on South Africa, Korea, Haiti, Syria, Brazil, and Ecuador. Plus in the U.S.: Top Local Democrats Back Kshama Sawant, �Socialist� Elected in Seattle on Platform of Liberal/Populist Reforms; Workers Revolution will Avenge Trayvon Martin, Defend Wyatt McMinn, Low-Wage worker organizing, City University of New York protests, NYC mayoral election, and more.